Seattle, Washington. Amherst, Massachusetts. Paris, France. One of those cities doesn't necessarily qualify as an indie rock stronghold of the early to mid-1990's. 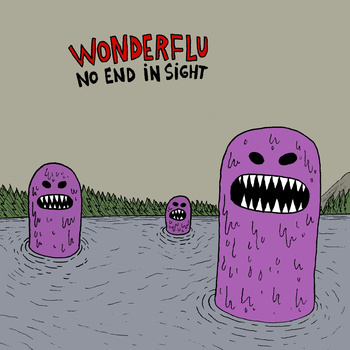 Well, Wonderflu are a Parisian quartet with a sound steeped in the power chords and guitar solos of post-Nevermind indie rock. Like Amherst's California X, Wonderflu draw heavily on the sounds of Nirvana and Blue Album-era Weezer on their upcoming EP No End In Sight. You can stream the first track from the EP over at the band's Soundcloud page. If you happen to be in Paris on March 14th, you can head to the record release show over at Espace B. Otherwise, you can just grab the EP from the band's website on that same day. The Alternative - The best music on the internet.